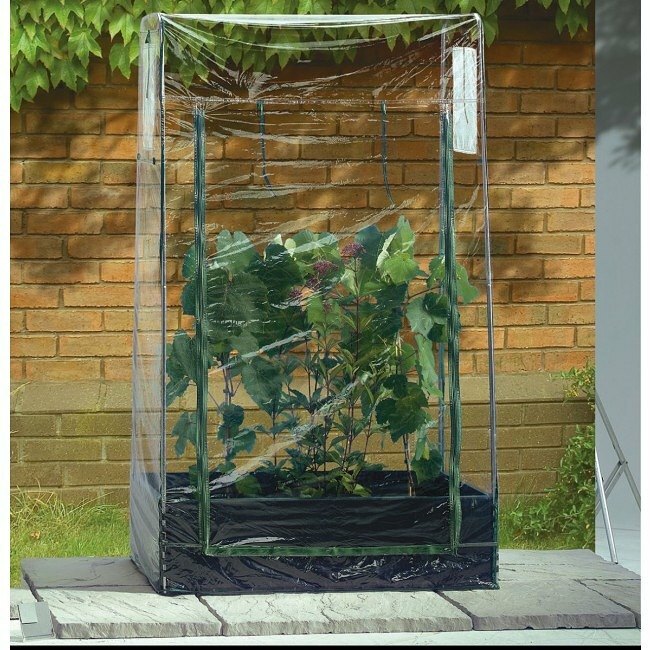 Cover for mini-raised bed, with zip-up access which offers frost protection. Anchors in each corner and provides rigid, wind resistant support for canes. For use with G96 for mini grow bed.